Our medieval brooches and cloak pins are perfect for keeping your cloak closed, and they can also be used on kilts or to pin down sashes to garments. 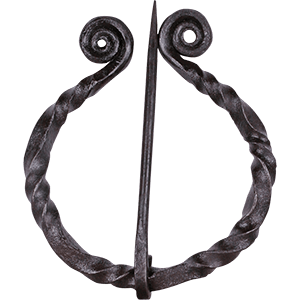 We carry very traditional styles of penannular brooches all the way to more modern versions that have a decorative, jeweled or beaded front with a pin on the back. All of our brooches can be worn with your medieval clothing or used as an accent pin on regular everyday clothing. Having some trouble finding a matching pair of earrings and a necklace to go with your medieval attire? It can be exhausting work. We feature a number of different options for both necklaces and earrings and matching any of these to the same costume can sometimes be very difficult indeed. So we have made things a little easier for you. If you are looking for a set of earrings and necklaces to go with your medieval costume, or really, if you just want a set of extravagant and royal jewelry to go with any outfit you own, you can check out our necklace and earring sets, under our medieval jewelry section. Here you will find pairs of earrings already matched to a similar necklace; all you need to do is pick out which set you like. Some of the sets are relatively simple and some are rather opulent, but all of them are fit for royalty. Many of our necklace and earring sets feature onyx, topaz, and rhinestone jewels, as well as silver and gold finishes. 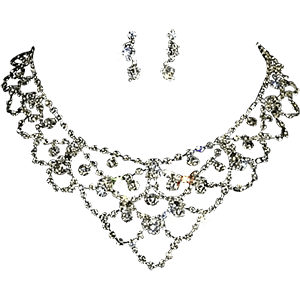 Next time you are in the market for a good set of extravagant jewelry to complete a costume, or just looking for a really decadent necklace and earring set, you are sure to find what you need here. 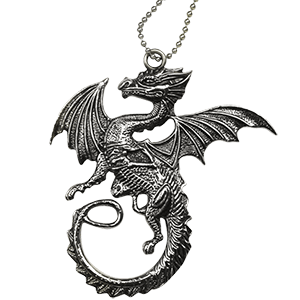 Our offering of medieval pendants and charms is a varied selection of top quality sterling silver and pewter jewelry. 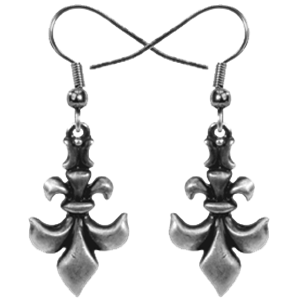 Our pendants feature popular medieval designs like fleur-de-lis, dragons, rampant lions, crowns and crosses. The same goes for our selection of delicate medieval charms. These pendants do not come with a chain, and we do sell chains separately if you do not have a chain already. 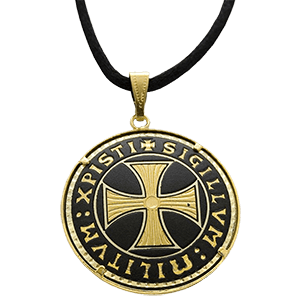 Our medieval and Renaissance pendants are suitable for men and women and can easily be worn with everyday clothing as well as your medieval garb. Medieval and Renaissance rings are well known for having large stones and being very elaborate. We strive to find the most unique designs for those who love this type of jewelry. We are always adding new styles, so check back regularly. 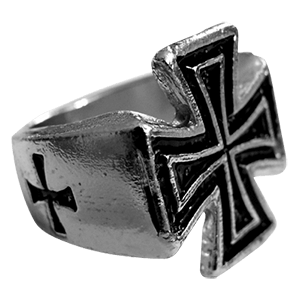 Our medieval rings are suitable for men and women, and they are available in a variety of sizes. We have a variety of styles, from the simplest designs to the most elaborate. 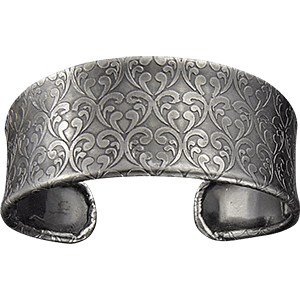 These historical rings also make very nice gifts. No lady of standing should ever be without an array of fine accessories to accent her look. This includes not only typical jewelry but also hair accessories that are perfect for styling. We offer an array of elements perfect for taming your mane as well as adding that singular element that is sure to catch the eye and earn you some compliments. 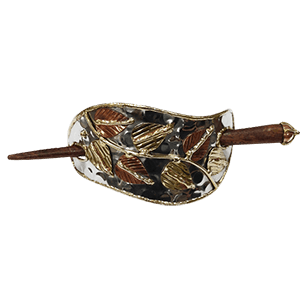 Our selection of hair accessories includes artistic and artisanal pieces that elegantly depict a wide variety of designs, ranging from natural elements like leaves and flowers to more medieval symbols like fleur de lies and heraldic emblems. They also come in a variety of styles, from more modern barrettes to classic clips. Many are rendered in fine jeweler metals, sporting sterling silver, pewter, copper, bronze, and brass looks that are sure to gleam when they catch the light. Others might even feature stone or crystal accents! No matter the style of hair accessory you chose, you can bet that they will be great not only for accenting your historic look but also for adding a touch of intriguing medieval style to your more modern ensembles! When you need to do something about your hair, we have you covered with our selection of great hair accessories, barrettes, clips, and sticks, whether you want a look befitting a princess or a new knock-out style to wear when you hit the town on a Friday night!